There is a reason I haven’t given up all hope for the future. It’s that I keep coming across so many amazing young people who identify a problem and then come up with brilliant ideas to try to solve it. One such person is Paige Hunter, of Sunderland, England. Paige has gone through some hard times herself, so she started to think about those people in despair who choose to jump off bridges. 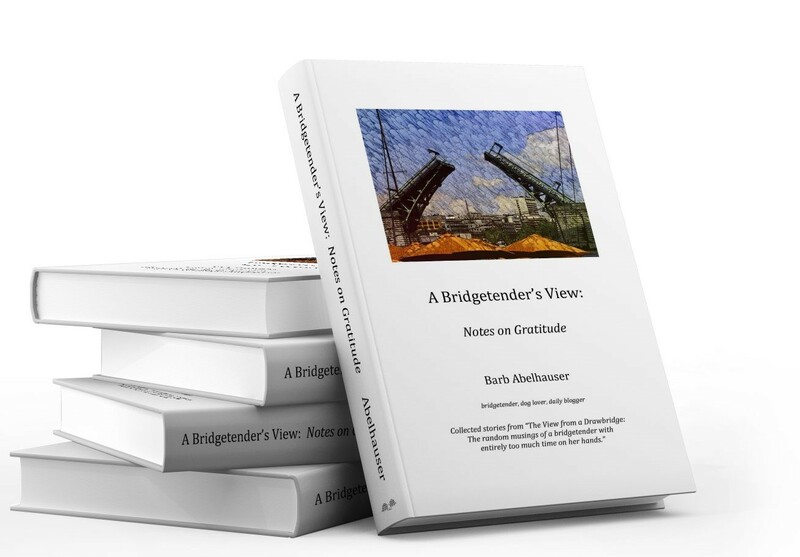 As a bridgetender, I spend a lot of time thinking and writing about them, too. But Paige turned her concerns into positive action. If you end it now, you will be so deeply missed. Even though things are difficult, your life matters. You’re a shining light in a dark world. Just hold on. You matter, you are loved, and people would be worse off if you died. Fight with all you have. Tomorrow is always a better day. If you’re reading this, I want to tell you how amazing you are. Look how far you have come… and then keep going. Don’t you dare give up on this life. Not tonight. Not tomorrow. Not ever. Step back. You’re worth it. Pause. Stop. Breathe. There are better options, and so many people love you. This isn’t how it ENDS. It will be better. Please hold on. What an amazing young lady. Due to her efforts, she got a commendation from the Northumbria Police Department. And this has created a great deal of media attention. Due to that attention, she decided to do yet another positive thing, and raise funds for mental health. I’ll say it again: what an amazing young lady! Won’t you join me in contributing to her GoFundMe campaign? It’s in British Pounds, but your credit card will figure it out. Lets keep this positivity going! Paige Hunter, I predict great things from you! Thank you!